Forest Fungi mushroom farm in Dawlish Warren was the venue for this quarter’s Devon Chefs’ Forum event held on Monday (26) September. Over 90 top chefs from Devon enjoyed a day of clay shooting and Michelin-starred cookery demonstrations by Michelin-starred chef Michael Wignall (Gidleigh Park). 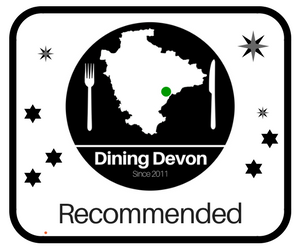 The Chefs’ Forum stages quarterly events at various venues in the area and enables chefs to forge links with their peers, young chefs and aspiring front of house professionals from South Devon College and Hit Training. Michelin-starred Michael Wignall led the students in producing delicious mushroom and game canapés for an audience of industry experts. Wignall then performed two cookery demos, which wowed his peers: Enoki, Watercress, Beer Bubbles, Fermented Garlic, Puff Potato, Wet Walnut and Wiltshire Truffle. Then, hare cannelloni of kohlrabi, best end and loin, baked chocolate, Maitake mushrooms, young parsnips and curry spice. The students demonstrated to Michael and other prospective employer chefs who attended the event, the great skills (both kitchen and front of house) that they have acquired on their courses with a view to securing apprenticeships in restaurants to further their career. Some of the students said they aspire to join prestigious properties like Gidleigh Park. Michael Wignall, Executive Chef of Gidleigh Park said: “I was delighted with the level of skill and professionalism demonstrated by the hospitality students whilst they were working in the kitchen with me at Forest Fungi – I enjoy working with young chefs from local colleges and I’m consistently very pleased with the standard of the learners. It was great to see them enjoying themselves today; having a go at clay pigeon shooting and cooking and finishing canapés with me. I am very excited to be working with Scott in the creation of my own growing room at Gidleigh Park”. Expert shooting coaches from BASC tutored top chefs and catering students in clay pigeon shooting with a view to inviting them to take up shooting game as a sport under the ‘Taste of Game’ initiative, headed up by Annette Cole who gave a very informative speech on sourcing venison responsibly from dealers with a DSC1 deer stalking licence. With further tuition the chefs and students will then have the necessary skills to shoot their own game meat and incorporate it into their menus. Mark Provan, Programme Coordinator for Hospitality & Catering (South Devon College) said: “The students had a great day today. The Chefs’ Forum events are a great opportunity for them to meet employers, gain new knowledge and network with peers from Hit Training – We all enjoy taking part in the quarterly events – We’re also looking forward to hosting our second Chefs’ Forum event at the college in 2017 with our Academy leader, celebrity chef Mitch Tonks – Again, this will be great work experience for the students making them even more industry-ready on leaving college”. Tom Mackins, Chef Proprietor at Restaurant Chapter One, Newquay enjoyed last week’s Chefs’ Forum Big Brunch for Hospitality Action so much that he kindly offered to ‘come up country and out of county’ to showcase Venison Loin on the Monolith Kamado Grill to further demonstrate the ‘hand in glove’ partnership of the Autumnal flavours of venison loin and mushroom. The Chefs’ Forum aims to enhance the skill sets of top chefs in industry through updating them with the latest techniques being used by their peers – This time, promoting the use of game meat with locally-produced gourmet mushrooms in chefs’ menus – This also motivates and inspires students. From the archives – The Oddfellows, New North Road.